To keep cabin tables looking nice. We will take on our camping trips. We RV, and all the sites have picnic tables. Some not so nice. This cover will be great! Of course, protection and easy clean-up. 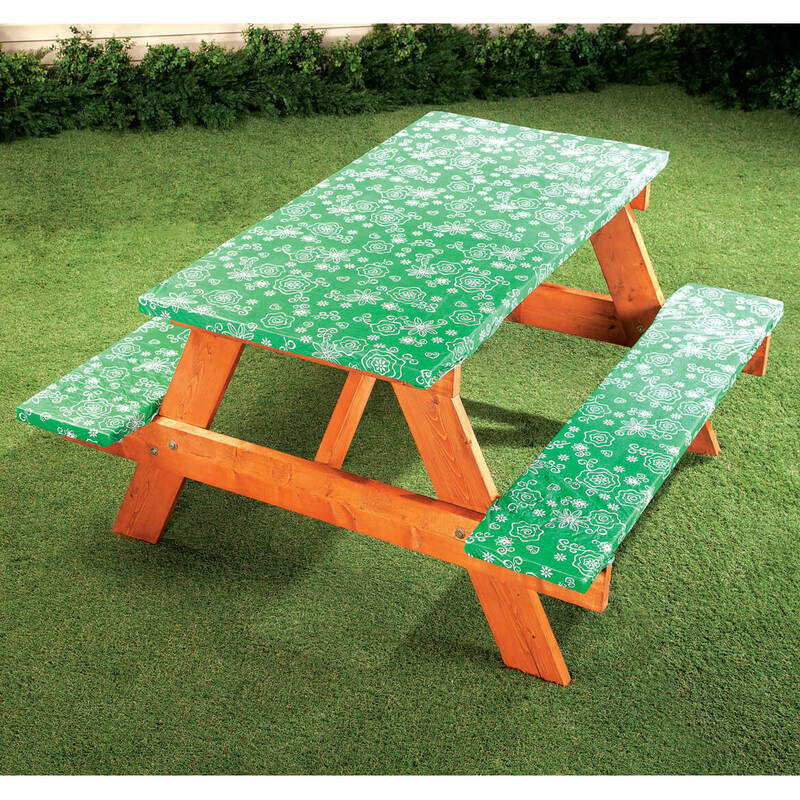 Looking to make an older, faded, unattractive but still useful picnic table less of an eyesore and more of an asset to our back yard. looks pretty and will save me from painting the old picnic table so I get another year out of it. 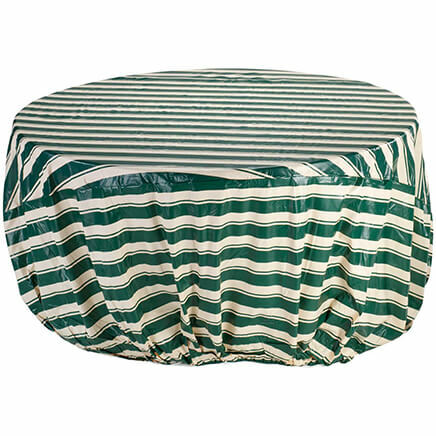 I have ordered these picnic table covers previously from Miles Kimball. They fit my table & benches. I was surprised to see something like this. I was going to repaint my picnic bench, but this is so much nicer and neater. 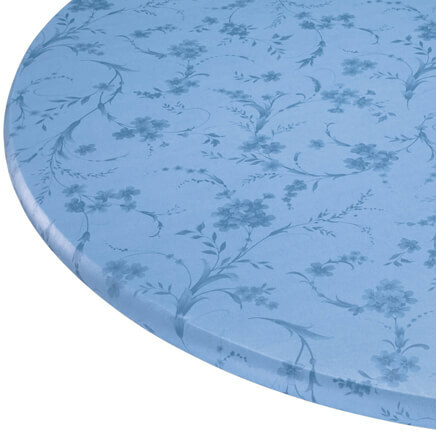 Practical vinyl tablecloth for outdoors. to protect my picnic table. I use this on a 6 foot fold out table in woodgrain. It looks nice on my cedar porch & covers the scratches on the table. 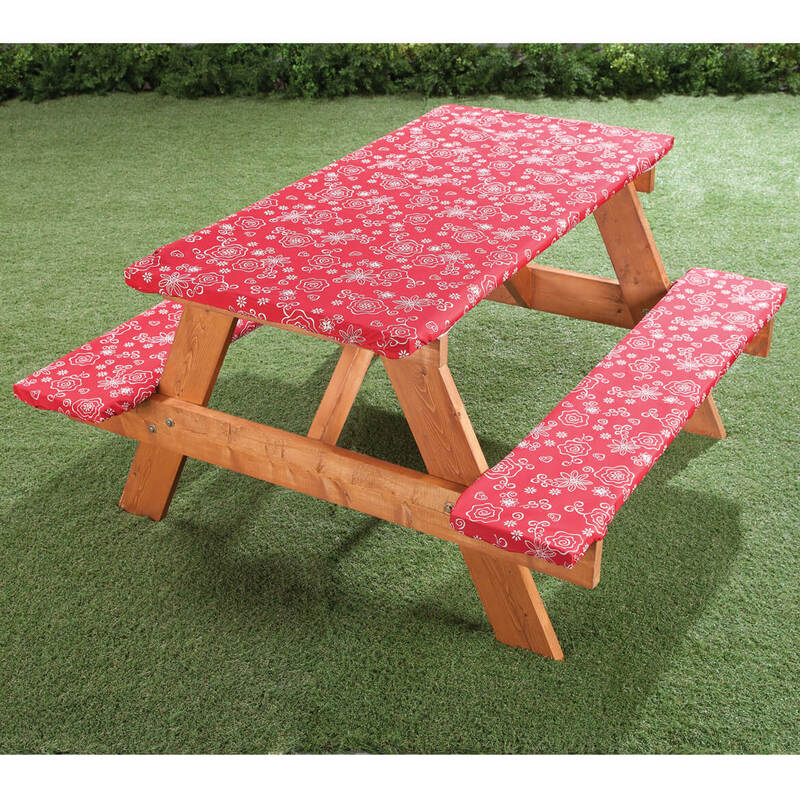 have an old picnic table and normally we just cover the top, this item is great for the seats too! Want to keep a clean spot for eating. I will be able to take if off when done and the birds will not use it to clean their peanuts on! Want to make old picnic table look nicer. Tired was of my table cloths blowing off my picnic table. I am hoping the set will fit the picnic table in my local state parks. Sisters new dog loves standing on top of her picnic table to look over the fence. Our picnic table is old and worn but still usable. I thought these would make it look more presentable. So far it has been a nice fit and it makes it nicer on my old wood homemade picnic table.. I really like the elastic ones. 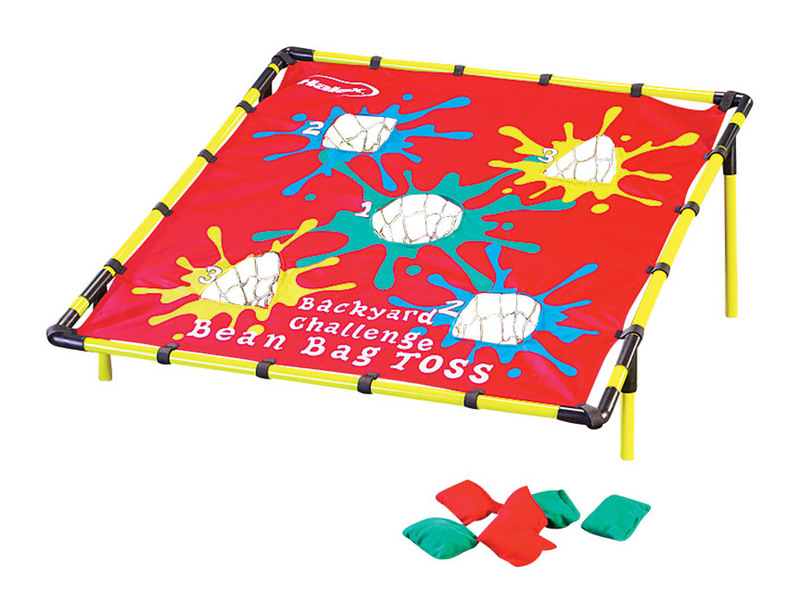 We have one set that we have used many, many times at home and at parks. Our family is growing so we need a second set. Camping...sitting at others tables...will be great to put down and make it our own table. Have a weathered picnic table and I hope this perks it up. To cover an old picnic table. It matches the theme of our campsite and no worries of blowing away. We do a lot of camping and sometimes the picnic tables are not so clean/nice so we like to cover them and we wanted something durable that we could reuse. BEST ANSWER: Thank you for your question. 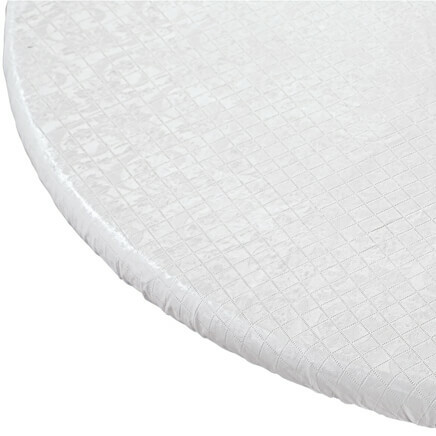 It will fit on a table up to 60" long x 34" wide and two benches up to 60" long x 16 1/2" wide each. We hope this information will be of help to you. 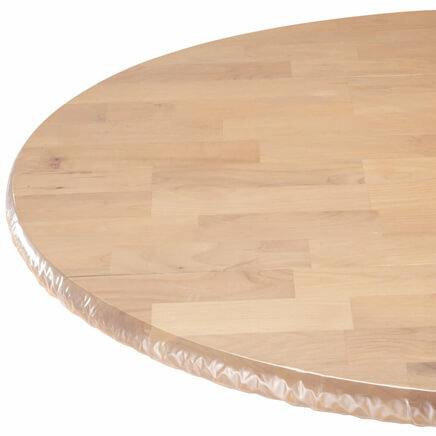 My table is only 48" x 23" will this table cloth be too big? BEST ANSWER: If it does seem a little too large, you can use clips or special bands to hold it on. I Ike to use the bands anyway in case there is any wind. No the table cloth runs small. 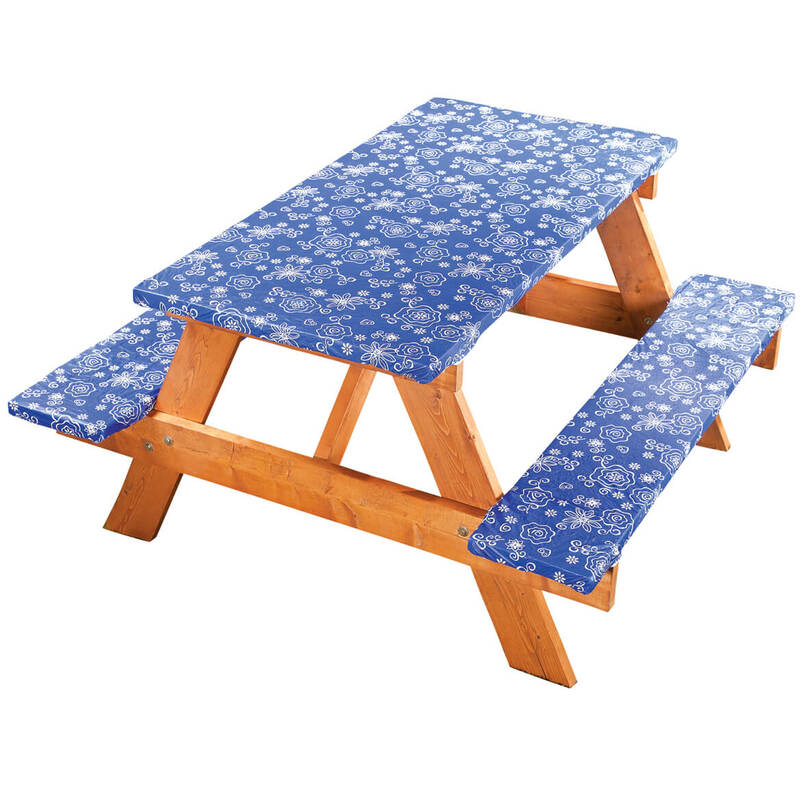 Any covers for oversized 96" picnic tables? BEST ANSWER: Thank you for your question. 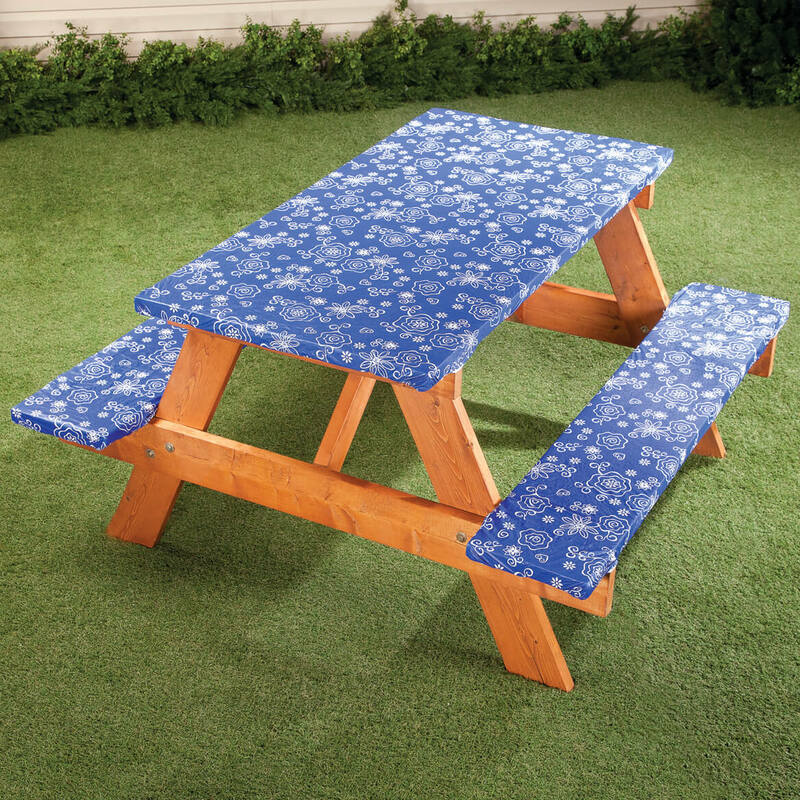 Unfortunately we do not sell picnic table covers in that size. We hope this information will be of help to you. Wish they were at least 72". Bought 2 and took them on a group camping trip and all the campground tables were 72"